We wanted to benchmark ourselves to other employers in the business and we wanted to promote ourselves as employer in the Customer Services industry. For us it was the first time we participated in an award programme. The judging was very thorough and analysed all main aspects of the complete operation. We were impressed by the expertise of the judges and how they were able to gather all relevant information in a very short time frame using different interview methods on site. The venue was amazing and beautifully decorated. We were Impressed by the scale and the perfect organization. The moment we were announced as winner in our category was magical. We celebrated with all employees in the office with cake and champagne. Also immediately after we won the award we shared with the business a short video which was made to capture the moment we were announced as winner in our category. Be yourselves and highlight in the process what you believe makes you different or special. Involve your people to represent the business and the way of working and don’t keep it just to your management levels. 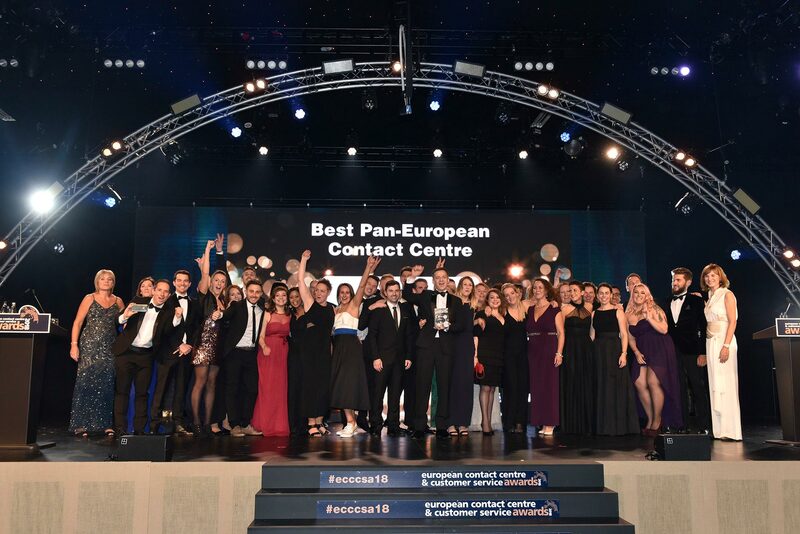 Winning the award has been great for us to use in our recruitment campaigns and then specially in markets where recruitment is a bit more challenging. Internally it has made our team members feel more proud and engaged to work for a company that has been recognised with an award for Great place to work.